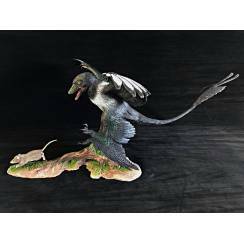 Microraptor hunting Eomaia, Diorama in scale 1:1. 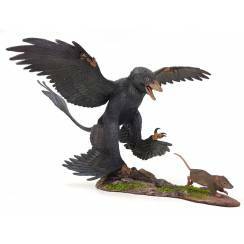 This Diorama was made exclusively on behalf of Urzeitshop. 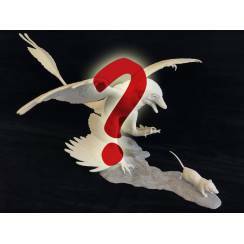 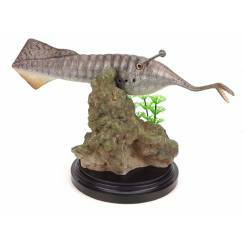 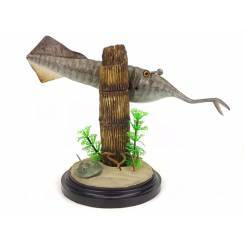 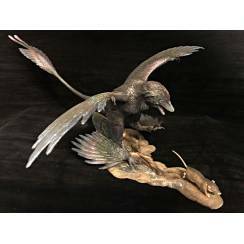 The impressive Diorama represents a hunting scene that could have taken place in China about 130-125 million years ago. 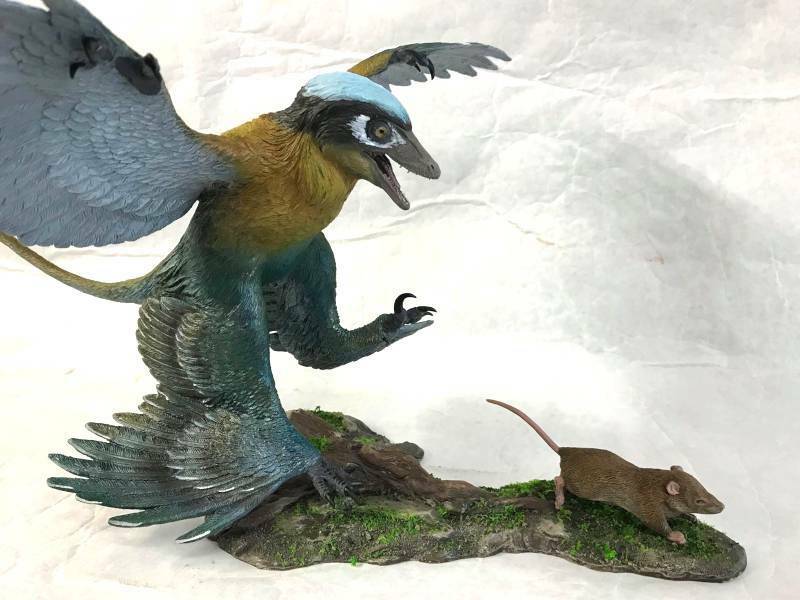 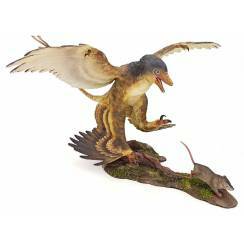 The small feathered dinosaur Microraptor zhaoianus is about to catch the primal mammal Eomaia scansoria. 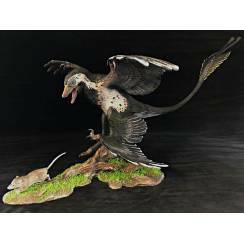 The detailed modeled figures convince with a very dynamic and realistic pose and a first-class colouring. 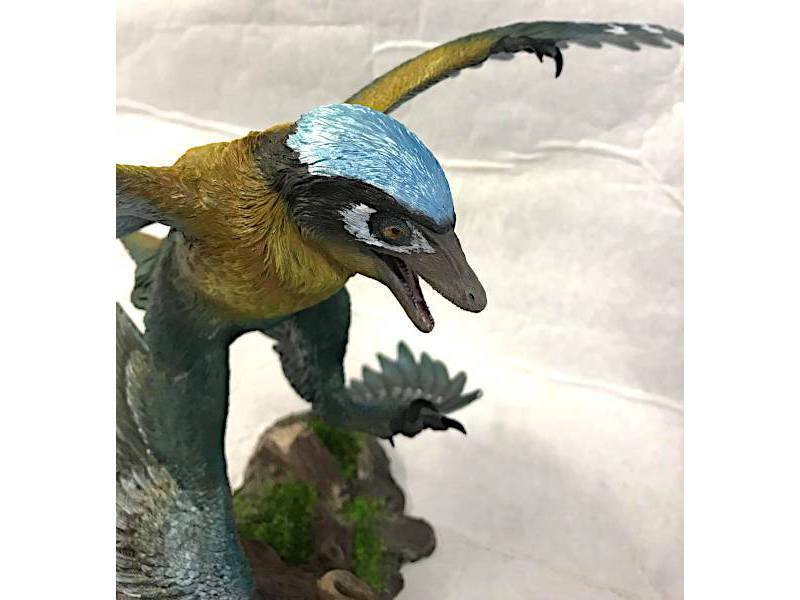 Lifelike looking glass eyes were used on the Microraptor, the plumage was rendered extremely detailed and filigree. 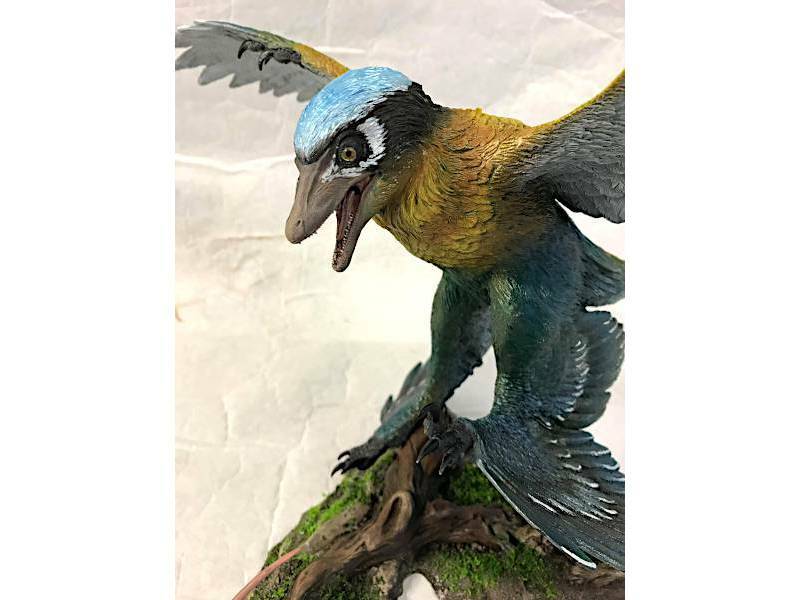 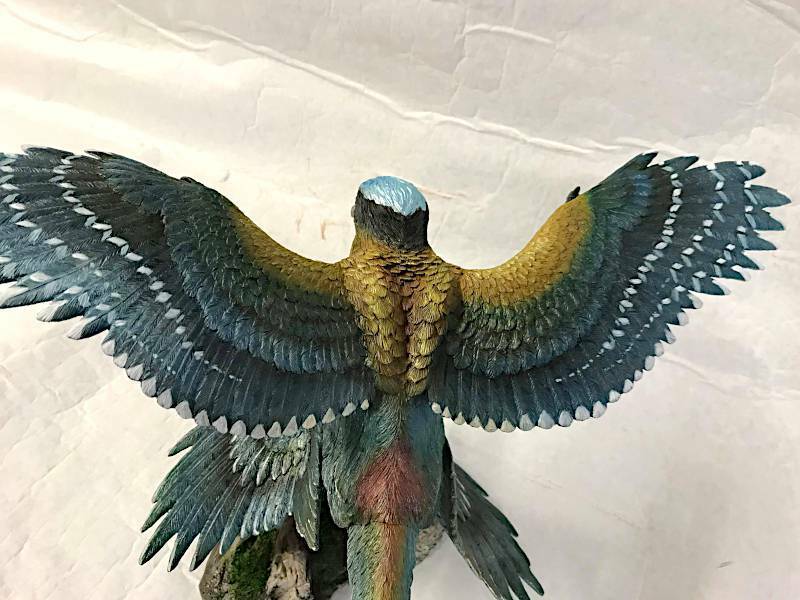 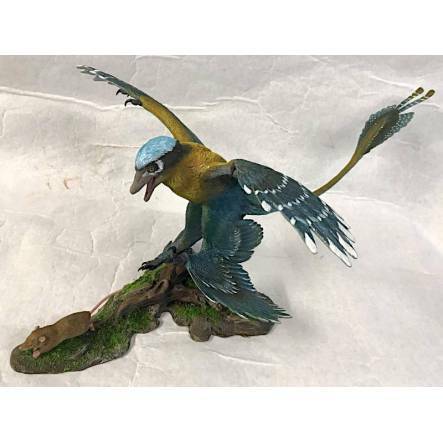 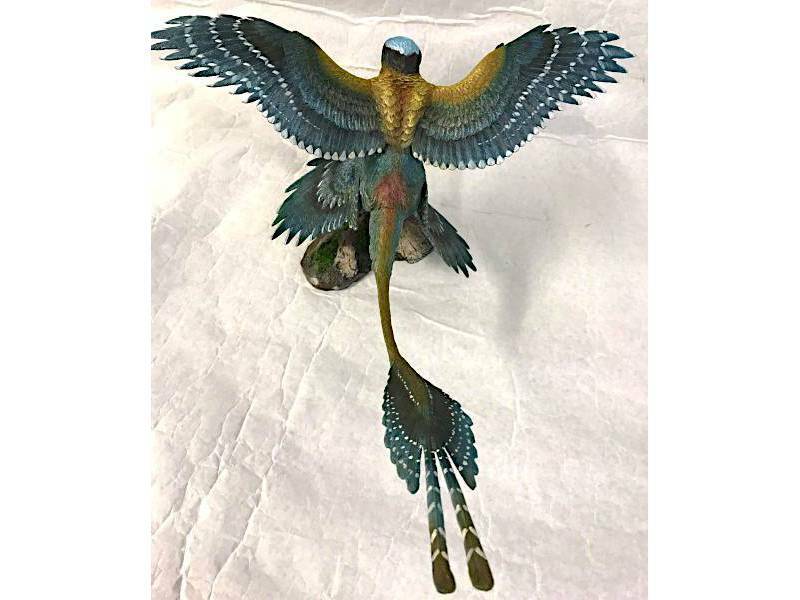 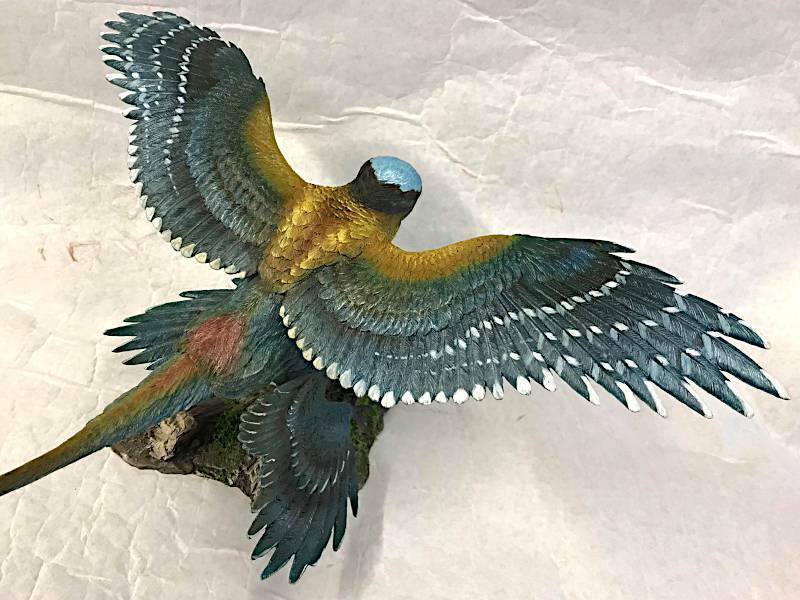 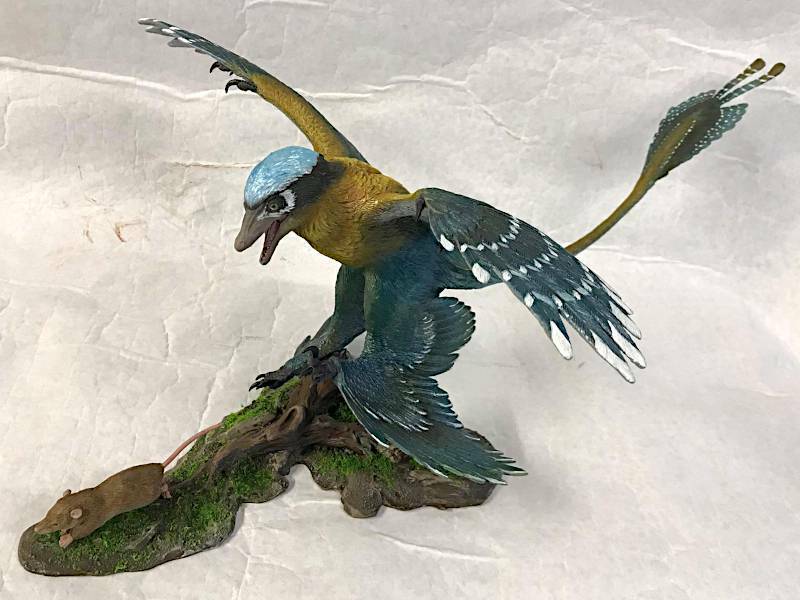 The tail of the Microraptor has to be attached and glued to the body (it's recommended to use a solvent-free super glue), after that both figures have to be put on the base, ready is the impressive Diorama.